In a digital age, most of us look to Instagram for travel inspiration. Our feeds are saturated with colorful photos that can help us recover from any adventure, cure post-trip blues or give a little boost to inspire the next excursion. But contrary to the old saying, a picture isn’t always worth a thousand words. In fact, literary legends, iconic travelers and educated globetrotters are excellent proof of this. Their words of wisdom about our great world — in the form of books, mantras and quotes are certain to inspire wanderlust in the way that photos can’t. There are travel quotes about journeys, self-discovery, adventure and those that inspire us to live life to the fullest. 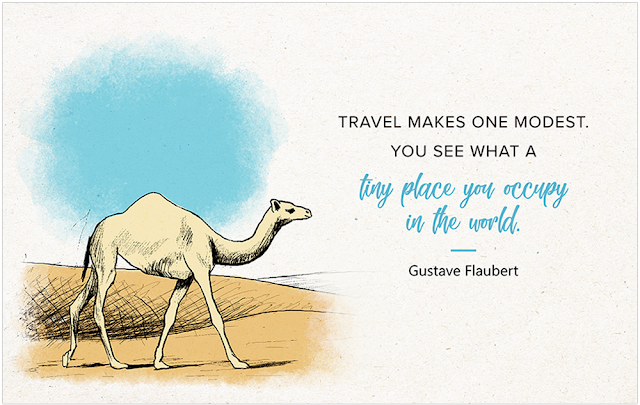 So, if you’re ready for a little wanderlust pick me up, take a look at this collection of 61 travel quotes, complete with postcard printables. Print out your favorite design and write in your favorite inspirational quote from world-renowned travelers. Add them to your home, office or send to a friend this holiday season.